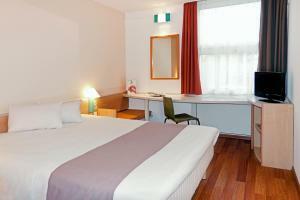 This Ibis hotel is located in the Schwabing district of Munich, just 4 km from the city centre. 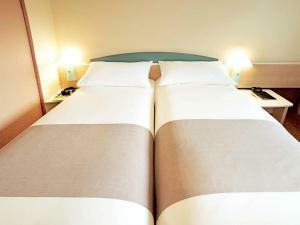 It offers modern rooms, a 24-hour bar and excellent links with the A9 motorway. 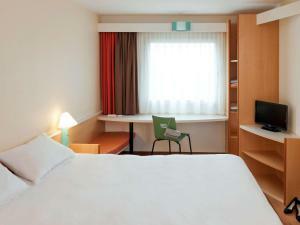 The air-conditioned rooms at the Ibis München City Nord feature Wi-Fi, a flat-screen TV with cable channels and a desk. 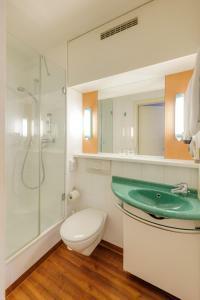 The bathroom is en-suite and comes with a hairdryer. The Nordfriedhof Underground Station is just 250 metres away. Underground parking is available on site. Breakfast is available each morning at the Ibis München. The La Table restaurant features a summer terrace, and serves a selection of German and international food. 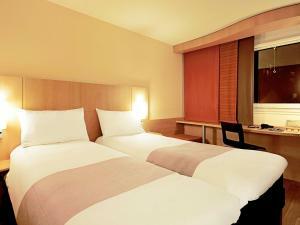 The Ibis’s lobby offers free Wi-Fi access and free internet terminals. Other facilities include a tour desk and airport shuttle service.